Ewing and his co-defendant Derrico Searcy were convicted of murdering J.B. Watson Dec. 29, 2009, in an allegedly gang-related shooting at Harper and Van Dyke. 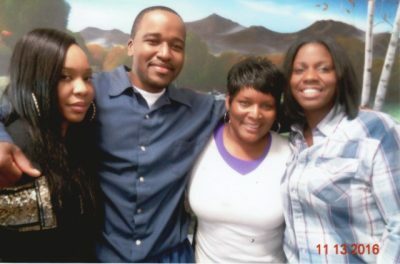 They have been in prison since 2010. Afterward, another prisoner, Tyree Washington, came forward repeatedly to declare under oath that he, not Ewing and Searcy, committed the murder. Dodson has also sponsored protests outside the Federal Courthouse, and been active with various coalitions against wrongful convictions. 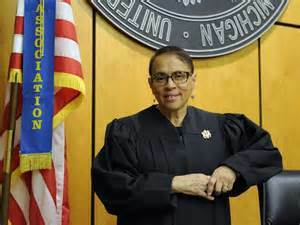 In her opinion, Judge Page Hood noted that prior to the trial, the assistant prosecutor Kam Towns tried to qualify Detroit Police Officer Terri Graves as an expert on gangs and gang signs based on internet research she had done from Facebook and other social websites. According to Judge Page Hood, trial court judge Carole Youngblood denounced and denied the attempt to have Graves testify. “On October 8, 2010, the trial court judge issued an opinion and articulated detailed findings on the record denying the prosecutor’s request to add Officer Terri Graves as an expert witness or a lay witness,” Hood says in her opinion. 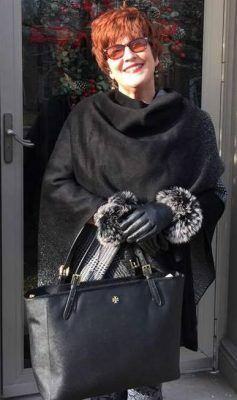 Although Graves was stricken from the witness list, social media information on gangs was discussed in the jury room, according to Judge Page Hood. Darrell Ewing (4th from left) with Natalie Holbrook, Korbin Faller of the American Friends Service Committee, Pete Martell and Marilena David-Martin at workshop June 23, 2017. See Byrnes’ affidavit at http://voiceofdetroit.net/wp-content/uploads/Byrnes-affidavit.compressed.pdf. Youngblood denied a motion for an evidentiary hearing to determine exactly how much discussion the jurors had related to the internet discussions. Judge Page Hood says such a hearing would have been needed, since the jurors came back with a conviction only a day after they told Judge Youngblood in a note that they were deadlocked. 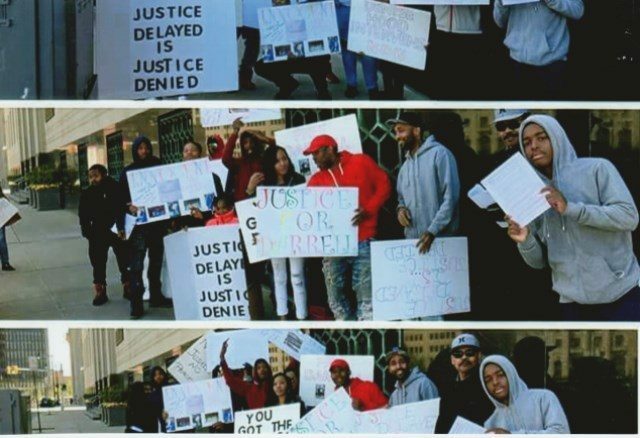 “Considering the serious difference of opinion of the jurors, brought to the court’s attention the day before . . . It would appear more likely than not, that the additional information, pertaining to gang codes, may have been discussed in order to break the jury deadlock,” Judge Page Hood says. Judge Youngblood died while post-conviction proceedings were ongoing, and the case was transferred to Judge Cynthia Gray-Hathaway. 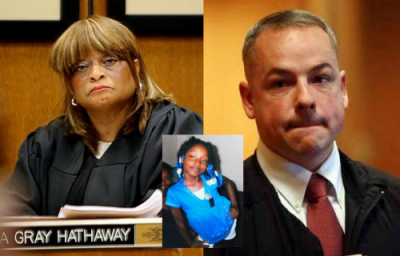 (Gray-Hathaway allowed the defense to introduce Facebook evidence in the trial of Detroit Police Officer Joseph Weekley, accused of involuntary manslaughter in the death of Aiyana Jones, 7, during a 2011 Special Response Team raid on her home. 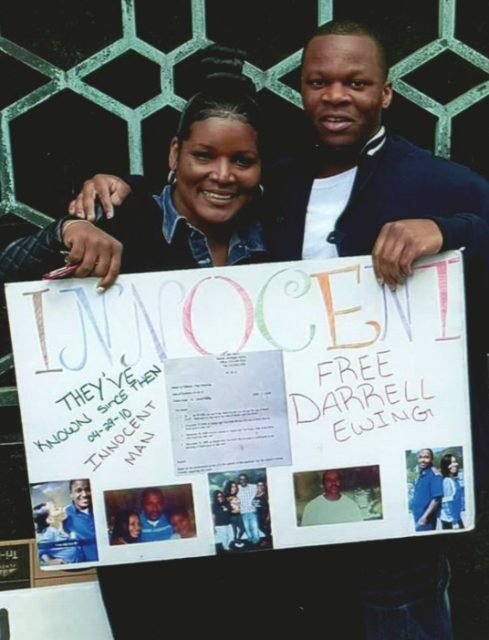 Meanwhile, the Court of Appeals upheld the convictions of Ewing and Searcy Sept. 24, 2013, claiming the jury discussions constituted “harmless error” and trial court post-conviction proceedings ceased. 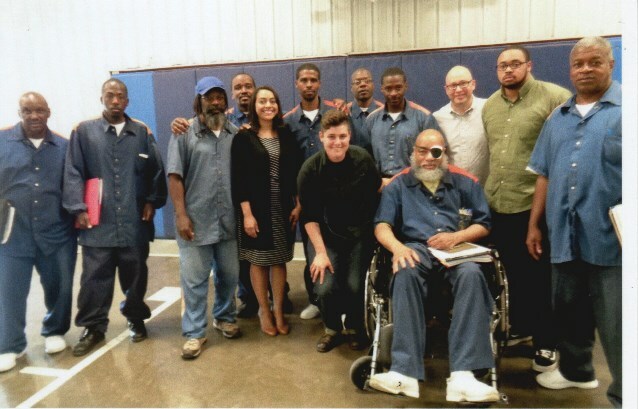 See COA opinion at http://voiceofdetroit.net/wp-content/uploads/COA-Darrell-Ewing-Derrico-Searcy.pdf. LaSonya Dodson said she wants to “give a shout out” to Investigator Scott Lewis, commending him for his dedication and constant communication with his clients. She cites numerous opinions from the Sixth Circuit Court to the U.S. Supreme Court backing her ruling. Below is Scott Lewis’ interview with Tyree Washington, who confessed numerous times to dozens of officials that he was the perpetrator in the murder of J.B. Watson. VOD spoke with him and he confirmed that he wanted this tape published. He refers to Adrienne Jackson, who testified to officials during Ewing’s trial that she was present when Tyree Washington shot J.B. Watson. Tyree Washington is serving a sentence of 7 to 25 years in the MDOC for crimes of car-jacking and felony firearm. His first out-date is 4/14/2019, and his final outdate is 3/14/2037. He is subjecting himself to a possible life sentence if he is charged and convicted in the Watson murder case. His description of the crime is typical of many tragic killings occurring among the youth. He says he, his daughter and her mother were shot at the day before by Watson, and he went after Watson essentially for their protection. He also condemns the entire criminal “injustice” system for its unchecked practices of mass incarceration by any means possible. Tyree Washington’s affidavit is at Tyree Washington Affidavit. 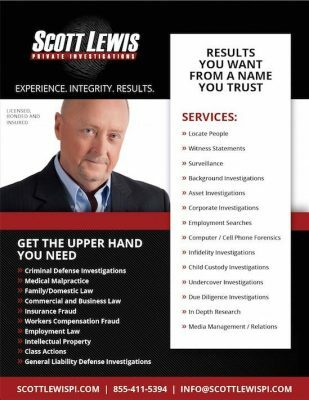 Ewing added in a letter to VOD, “Believe it or not, U.S. Federal Agents were given information by a top informant who testified in front of multiple grand juries concerning this matter and who was the actual culprit responsible for the crime I was being charged with and ultimately convicted of.